i have combi skin, currently using SKII essence daily. never tried its anti aging or night range though. u using any of the above? how about the one that is advertised on the frontpage of petalbytes? the banner right at the top. i see that there is a royal nectar face mask there and a rosehip oil. has anyone here tried it here? i usually use innisfree though. For lazy days when you don’t need a face full of makeup on, a tinted moisturizer is the way to go! 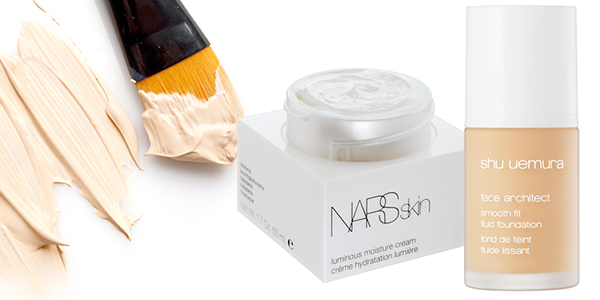 It’s more hydrating and natural and gives a lighter, casual finish. And good news – you could just whip it up with products you already own. My favourite trick would be to mix my face moisturizer with my foundation or BB cream. Loose powder works just as well – just remember to mix it thoroughly so you get an even application! The best thing about DIY tinted moisturizers is just how customizable it is. For extra protection, you can add your favourite sunscreen to your tinted moisturizer. For extra coverage, just add more foundation/loose powder. I am 47 this year. Besides using skincare and beauty products, it is very important to have a good diet and consume enough nutrients for your body. People my age cannot afford to be skinny as a thin and haggard face would me me look older and face would appear pruned and dry. I've used many products in the past but am currently using Clarins Blue Orchid Face Treatment Oil which does not make me break up in oil seeds or bumps. This oil is for dehydrated skin. I end with Olay Moisturising Cream. I use Elizabeth Arden Ceramide capsules when I go on overseas trips especially to cold countries. But this gives me oil seeds when I use them in Singapore. I think you will also need to review your diet too. Sometimes we eat too little oil cos we are afraid of getting fat, this will affect the skin. I eat super well. I don't deprive my body of food. I basically try to avoid food from boxes, bottles and cans. I eat economical rice all the time with meat and vegetables. And the fruits are from my workplace. I am definitely not skinny or slim. I am VERY well-fed. My skin is sensitive to several products including snail. Yes, yes, agree1 I drink plenty of water. And I sleep like a pig! I don't drink juices that come in packets. Coffee is once a day only. I drink plain water the rest of the day. I am using this product brand Latoja serum..it really help alot in our skin repair even have ance sensitive ance scars and etc..it really help our skin to rehydrate and moisture our skin.. It really effective as many user also like it and i am their user also.maybe you can try this..